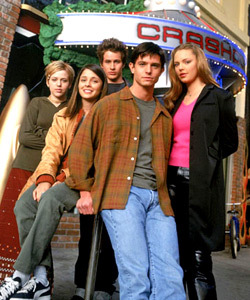 In this coming-of-age sci-fi drama based on the book series Roswell High by Melinda Metz, ordinary small town girl Liz Parker (Shiri Appleby) finds her world thrown upside down when the mysterious Max Evans (Jason Behr) saves her life. Things go from weird to weirder when, long story short, Liz discovers Max, his sister Isabel (Katherine Heigl) and their friend Michael (Brendan Fehr) are aliens. As Liz's regular life as a teenager collides with Max's otherworldly one, they discover things not only about Max's past, but themselves, as their love sets in motion a series events that brings six teenagers together, and changes all of their lives forever. It's a little bit Twilight, a little bit X-Files, and a lot cheesy, but it's more nostalgia-inducing than a trip down memory lane. 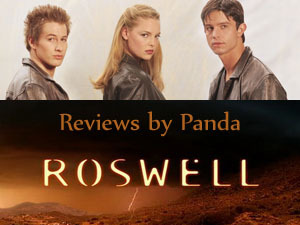 Also starring a pre-fame Colin Hanks and a host of other familiar faces, Roswell's role as a game-changing, genre rejuvenating series have earned it a place in the WB's hall of fame.